I noticed that the main appeal of paintball was carrying around a gun. As I mentioned, the paintballs hurt and the game was a little too intense for my guys. 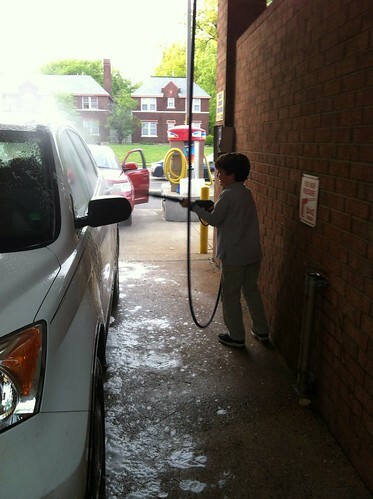 I decided a much safer and more productive way for my 8 year old to get in some good gun action was by going to the carwash and attacking the dirt on my car. It was also a lot cheaper than paintabll! Just sayin.